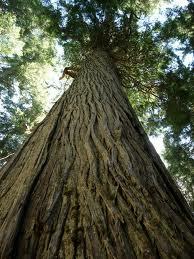 This is the superior cedar wood essential oil. It has a rich red hue and a strong odor making it useful in masculine blends. This cedar wood is different in aroma from the American types (Virginia and Texas). The health benefits of Cedar Wood Essential Oil can be attributed to its properties like anti seborrhoeic, anti septic, anti spasmodic, tonic, astringent, diuretic, emenagogue, expectorant, insecticide, sedative and fungicide. The chief components of Cedar Wood Essential Oil are Alpha Cedrene, Beta Cedrene, Cedrol, Widdrol, Thujopsene and a group of Sesquiterpenes, which contribute to its medicinal values. Here are a few of the medicinal properties and benefits of Cedar Wood Oil. * Anti Spasmodic: This is yet another important medicinal property of Cedar Wood Oil. It relieves spasm. Nearly all sorts of spasm and related ailments can be relieved using this oil. This includes spasm of respiratory system, intestines, muscles, heart and nerves. * Emenagogue: Those who are having obstructed and irregular menstruation can surely benefit from Cedar Wood Oil, as it is an emenagogue, which means it stimulates and bring about menstruation as well as makes them regular. The pain and side effects such as nausea, fatigue etc. associated with menstruation are also relieved with the use of Cedar Wood Oil. * Insecticide: Cedar Wood Oil has been in use as a mosquito and insect repellent since long. If used in vaporizers, it drives away mosquitoes, flies and other insects from home. * Sedative: This is perhaps the ace card of Cedar Wood oil’s medicinal properties. It is an excellent sedative. It has a great soothing, sedating and calming effects on mind, cures inflammations, itching of skin and relieves tension and anxiety. This feature also helps in having a good sleep, particularly in patients of insomnia.